Good morning! It’s Friday, and I have a lovely weekend planned. How are you all coping with the rains? It’s not been too harsh on us here in Bangalore. There;s been a deluge of art and craft fair in Bangalore over the past fortnight – Sampoorn Santhe, Kala Madhyam, Kumbaya until Sunday, and the handloom sale at Jharccraft. Yesterday, I stopped by at the Central Cottage Industries Emporium to take a look at their weaves exhibition. That I came back utterly disappointed would be an understatement. Prime location, large space, easily accessible by Metro, and government backing – what more does a retail store need. On the contrary, over priced, falling standards of some of the products, limited range works against them. 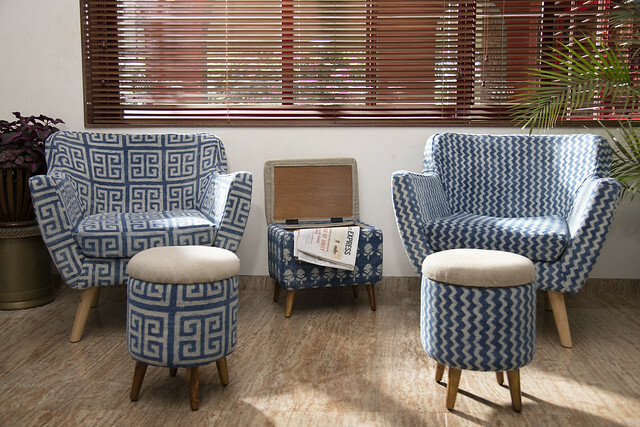 It shouldn’t take much for an enterprise with such wide access to artisans’ products across the country to make it the go-to place for Bangaloreans. 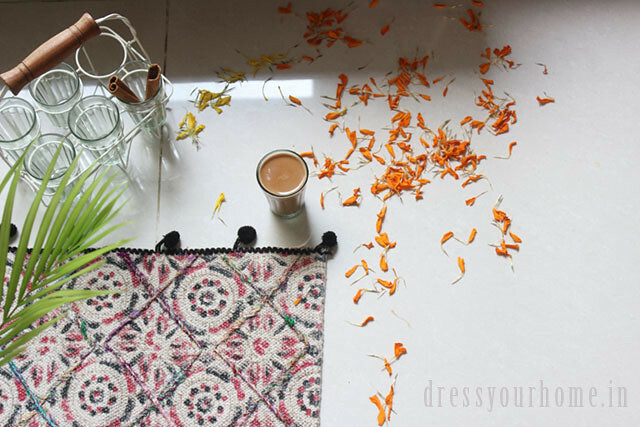 It’s no secret that Bangaloreans have an undying zest for anything earthy, colorful and handmade. So, I just don’t get it why the Central Cottage Industries works the way it does without leveraging the city’s deep pockets. A little styling wouldn’t hurt anyone! But, yes, their pottery collection is absolutely amazing. I’m in awe every time I visit. I also stopped by at Fabindia. I couldn’t have seen more contrasts in a single day. There is no middle path here. Either people LOVE fabindia, or they swear never to step inside one again (for the price obviously)! 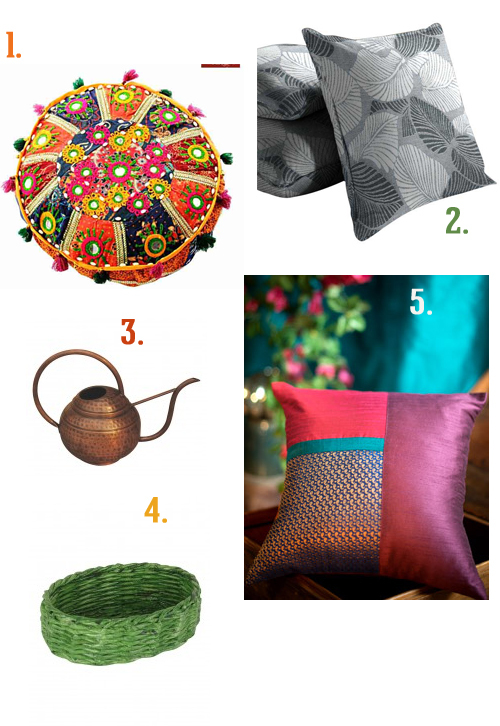 A few picks for the home under Rs.600. 4. A recycled paper basket for Rs.430 from Fabindia. This is something you can attempt at home as well. I tried a variant of this a while ago. Lemme know what you think, and if you have a great find, please leave a comment or e-mail me so that I can feature in the coming weeks. Have a fun-filled weekend and I’ll see you next week with some kitchen-centric posts. Linked to the respective sites. Love your blog. I really like the thrifty picks that you bring for us every week.